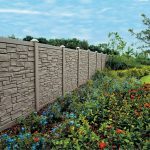 With the endless style possibilities of Bufftech, fence becomes so much more than a perimeter, a safeguard, or a dividing line. Chain link fence is a durable, secure and low cost general fencing material that is widely used in a variety of situations. Treated Pine and natural Cedar wooden fences are a beautiful natural option that weathers to a traditional look over the years. 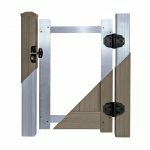 Gates & operators provide useful technology to make entrance options simple and elegant. 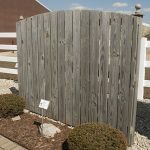 SimTek polyethylene fences offer styling that resembles realistic granite-stone appearance or dramatic wood texture. 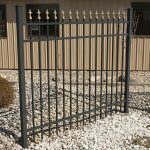 With many options to choose from an aluminum fence provides the strength of steel with the maintenance-free ease of aluminum. 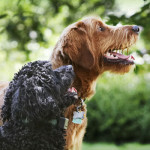 DogWatch Hidden Fences is a fenceless alternative to keep cats and dogs within a safe boundary at your home. Just can’t decide? 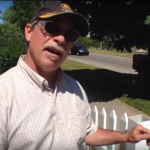 Use this guide to help you make an educated decision with your new fence!